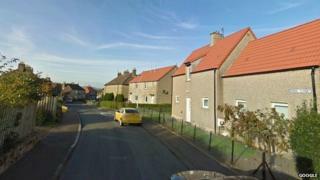 A woman was being treated in hospital for burns to her hands and smoke inhalation following a fire at a Fife house. The fire broke out at a house in Freuchie just after 16:00 on Monday. Scottish Fire and Rescue Service crews extinguished the fire in the living room of the two storey house in Queen Street. Officers are working to establish how it started.